YAY! I found a lid for my Avocado Green Club Cookware Stock pot. I found the missing lid for this amazing stock pot by Club Cookware. Very cool aluminum dutch oven pot straight out of e 70’s! Check it out at my Etsy shop. 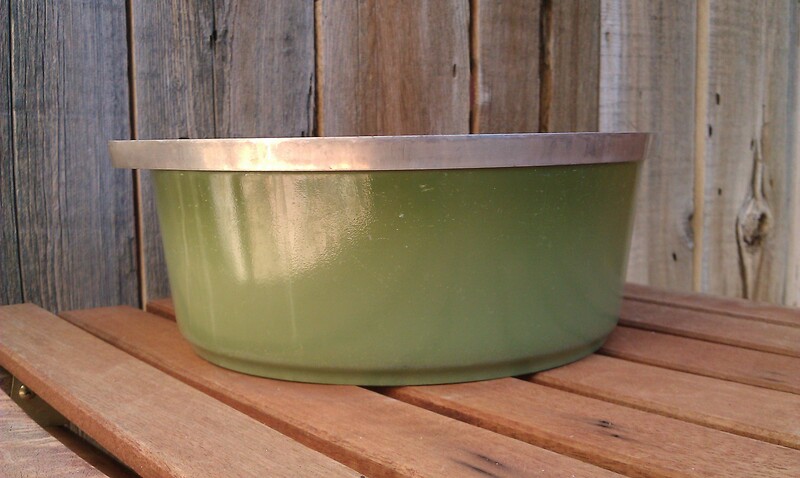 Vintage Club Cookware Avocado Green Stock pot, Dutch oven. This large aluminum pan is perfect for your retro kitchen. It has amazing color fade on it. It seems to go from dark to lighter green. It is in fantastic shape. The outside is very clean, very little color wear or chipping. The inside is slightly discolored but no where near as bad as I’ve seen. Amazing pan. I FOUND A LID!!!!! It matches perfectly, same color fade, in perfect condition, black lined interior. Dimensions:10″ wide 4″ tall 4 quarts. Comments Off on YAY! 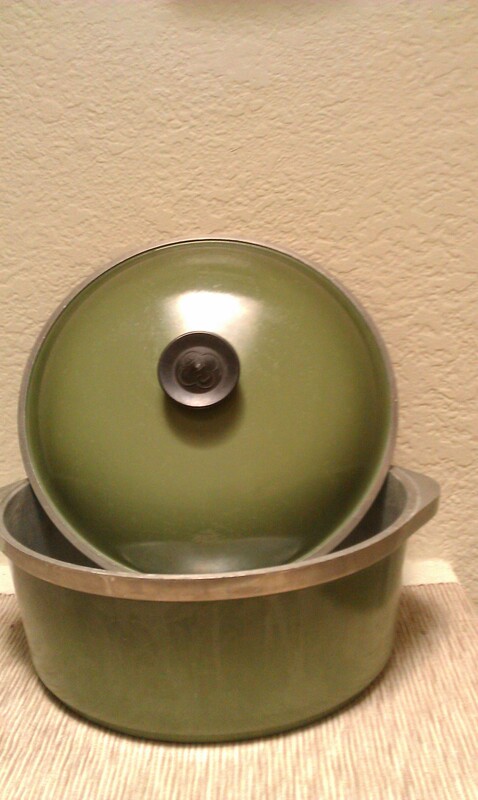 I found a lid for my Avocado Green Club Cookware Stock pot.